Social media is here to stay. As a financial advisor, if you’re not engaging with potential investors and clients on various social media platforms, you’re missing out on a big opportunity. Data shows that 90% of high-net-worth investors use social media today, but only 4% have been engaged by a financial advisor online. Establishing accounts on sites such as Instagram, Facebook, LinkedIn, and Twitter increases your internet footprint for free. Why not take advantage of this strategy when targeting customers? Keep reading for tips on leveraging social media for financial advisors. You’ll be using these strategies to cultivate potential clients into actual clients in no time. To become a successful financial advisor, you must have an effective online presence. People turn to the internet and social media to research financial decisions, so if they can’t find you there, you don’t exist! Wondering how to establish your online identity? When you post on social media, you have the potential to reach millions of people. As a financial advisor, you only need to focus on a targeted group of individuals. To do this, you should start to research and determine the audience you wish to reach. You can do this by surveying your customers. Ask the right questions and you can find out things like which social networks they prefer, how they interact with brands, or who they follow. To find potential clients, search for groups on Facebook and LinkedIn that are compiled of people with a common interest in investing. Do hashtag research and start following people who have similar interests. Digital marketing is effective in making your brand recognizable on any platform. By maintaining aspects such as a consistent tone, color palette, and style, you are ensuring that potential clients are familiar with what you have to offer. This applies to the type of content you post on social media as well. As you’re planning and developing content, reveal your interests and show yourself to potential clients in an authentic way. You’re trying to appeal to a broad audience here, so it’s best to avoid content centering on controversial subjects such as politics or religion. With so many social accounts on each platform, images are the best way to grab attention. Our brains respond quickly to images rather than other types of information, so the best images draw us in and spark interest. You have one chance to make a good first impression and this is even truer on social media platforms. As you post on your platforms, try to keep your imagery consistent. This helps build identity and makes you come across as more authentic. Relevant images help you gain loyalty and attention. Make sure that your images are high-quality. If you’re not a good photographer, consider hiring a professional to get some good shots. The right photographer will be able to help you capture the tone you are trying to express. Do you want to seem corporate, serious, or approachable? You should tailor your content specifically for your target audience. Most social media experts agree that you should not post more than one piece of curated content a week and no more than two promotions a week. However, you should post at least one piece of “engaging” content a day. Engaging content can be anything that you have seen followers react well to in the past. These could be motivational quotes, blog posts, infographics, or polls, for example. You can even ask them questions! If you’re posting promotional content, you should avoid sounding “sales-y.” These posts represent your brand. The whole purpose of social media is to build a relationship with your followers, so don’t scare them away with a blatant sales pitch. As you start to notice a following, you should engage with other people just as much as they engage with you. Reach out to people you are impressed by or like seeing content from. Send them a direct message or comment often on their posts. The content and tone of these messages matter, so be authentic and know what you’re trying to say. As you begin to build your network, don’t forget about the people who have been following you from the beginning. Your real-life relationships create a strong foundation to build your network on, so put effort into connecting with these people regularly. Having a network can be beneficial if you are looking for advice or new ideas. If you build a good relationship with these people, they will be more willing to help out when needed. And who knows what you will learn from them in return! There is no doubt that social media marketing is effective, but you should always be sure you are producing compliance-approved content. 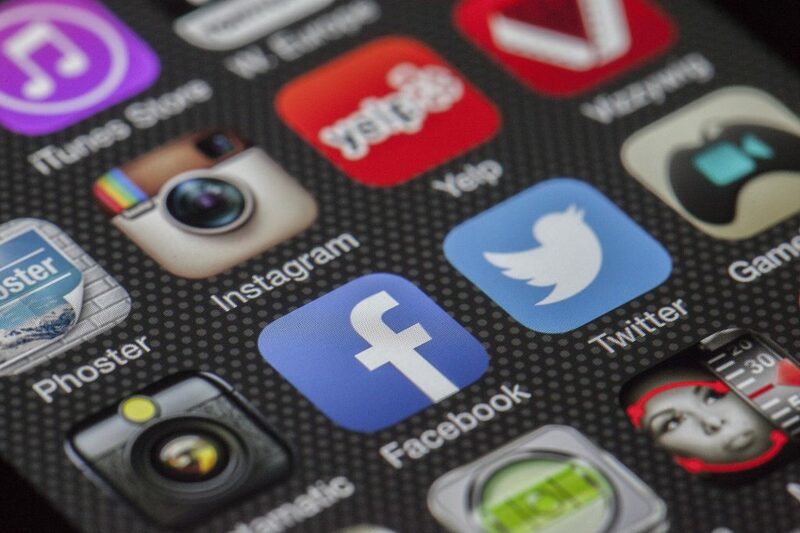 Social media for financial advisors is seen as a form of advertising, so you must be wary that your accounts and posts are subject to regulations. Pay attention as you are setting up your profiles and follow the basic rules from the beginning. If you do this from the start, posting approved content will not be an issue. Be aware that certain types of content must be pre-approved, especially static content that remains on your site for a long period of time. Posts that involve communication with a third-party may not require pre-approval, but they should be supervised. Earlier, we talked about engaging content, and how followers expect it from you to remain interested. You should be logging into your social media accounts at least once a day to engage with followers. It’s enough to simply give everyone an update about how your business is doing. What recent challenges are you experiencing? Have you won any awards recently? These are things you can share with your following. If you are doing it right, you will see real relationships begin to form. And it will pay off, as 71% of consumers who have had a good experience with a brand on social media are likely to recommend it to others. Building a social media following and engaging with customers is fun, but you can’t forget about your bottom line. Now that you have begun to engage with potential clients, it’s time to make them actual clients. Now, you need to convince them to take action. Targeted ads are a good way to do this. Targeted ads should go to people who have already engaged with you. You can use these ads to do things such as send people to opt-in forms to capture emails or allow them to set appointments. You should only use your best content for paid advertisements. Every click costs money. You want to make sure the content is high-quality and will keep someone’s attention long enough to convert them into a customer. As a financial advisor on social media, you’re not looking to be an influencer or bring about social change. Social media for financial advisors is about finding prospects and convincing them to do business with you. Keep that goal in mind and you will be on your way to success in no time. Building a solid online presence will have a positive, lasting effect on your business, long into the future. Check out our website for other tools and skills to adopt that will optimize your new digital marketing strategy.